Hats off to Walgreens. I've generally, probably like most of the population, thought of them as sort of a generic drug store distinguished perhaps by their adjacent liquor stores. Unlike CVS, they haven't kicked out the tobacco products and launched full scale into being a health provider. But I digress. 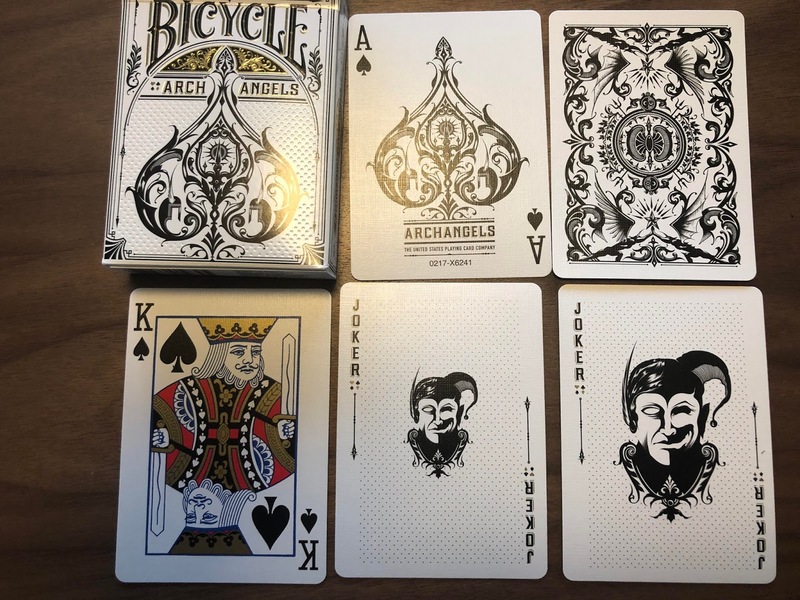 I write today to brag about my new purchase of interesting decks of cards and jokers from Walgreens and to congratulate (and thank) Walgreens for having the insight to rotate their deck of card selections. This keeps me visiting monthly to check on their card selection. And while I was there, I stocked up on toiletries and Benedryl and M&Ms and so on. 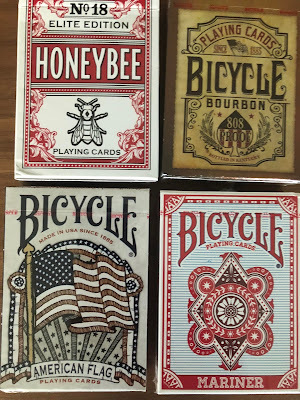 BTW, this is the second time that I have moved enough to dedicate a post lauding Walgreens offering of playing cards. 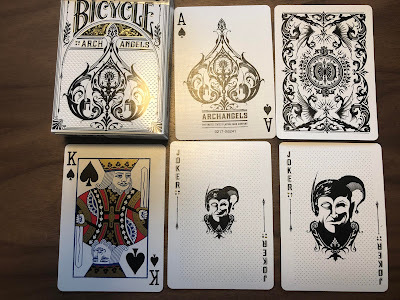 Here are the Firefly jokers from Bicycle - they're classified in the Jesters Standing section of the collection. 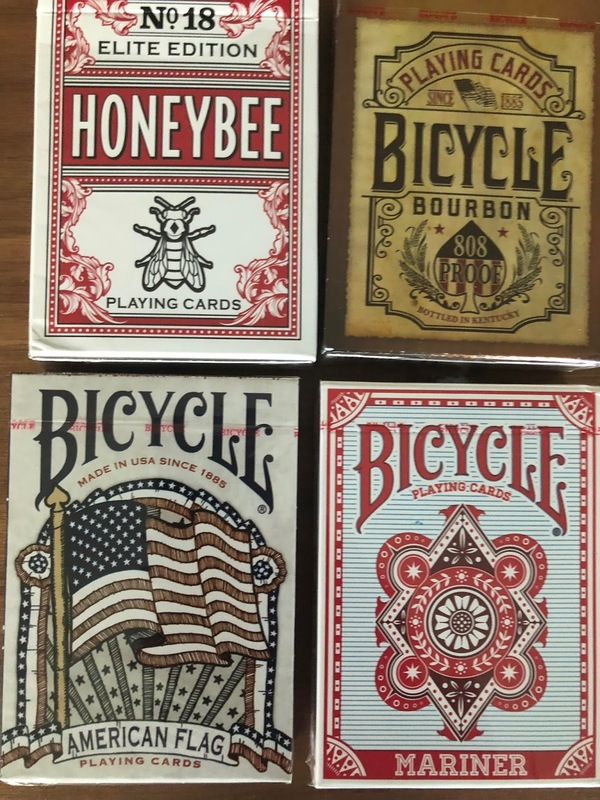 The only other businesses that I would consider calling out as important to my card collecting: Ebay (where I shop a lot), Etsy, the US Playing Card Company, and Kickstarter. It's an odd question to think about what other businesses help me with my my collection. And of course, who profits. I guess I could also mention the people who make the plastic card holders and the three ring binders. It seems odd that Walgreens would show leadership here but that Target and CVS would not. Weird, isn't it?